We understand that it can be a fair process getting started with WordPress. In light of this, we have prepared a starter pack for you pertaining to Avada, the Fusion Builder and everything in between. Below are some links to help files, online documentation, videos and tutorials to help make this process easier and more enjoyable for you. If you have any questions, the first thing to do before submitting a ticket is to create a support account by following these steps. Then please try searching our support resources with keywords, most of the time the answer is in one of our posts waiting to be found. If you cannot find your answer, please or submit a ticket to our support team. Create A Support Account - This must be done before you can use our ticket system. How Our Advanced Option System Works - Once you understand this, the sky is the limit! Avada's Online Documentation - Search for answers through our in-depth articles about Avada's features and 'how to' tutorials. Avada's Online Knowledgebase - Stay updated with version updates, changes and bug fixes by checking our Knowledgebase articles. Video Tutorials - Browse through our collection of video tutorials on Avada's features. Avada Community Group on Facebook - Join the community-ran and managed Avada Community Group on Facebook. Avada Community Forum - Post questions, ideas or discussions on the official ThemeFusion Community Forum. Please be reminded that we do not offer support here. Support Ticket System - If you have any issues with the theme, please send us a support ticket here and one of our support representatives will assist you. Support Guidelines & Policies - Please review our support policy & guidelines here to learn what the scope of our support. A Beginner's Overview of The WordPress Admin Area - An essential read to understanding and learning about the admin area of WordPress. Essential Pages For Your New Site - Learn which pages are important to have on your website, such as the Home page, About page, Contact page, and the like. Beginner's Guide To Creating And Publishing Your First Post (Part I) - The first part to our blog article on this topic. This post covers the core components of creating posts. Beginner's Guide To Creating And Publishing Your First Post (Part II) - The second part to our blog article on this topic. This post covers the advanced extras of creating posts. Understanding WordPress Posts and Pages - A simple and informative article on distinguishing the difference between WordPress posts and pages. Master The WordPress Settings To Control Your Site - An essential blog article to learn and master the WordPress settings needed to fully control your website. 4 Key Benefits of Using a Premium WordPress Theme Framework - Why choosing a premium WordPress theme is more beneficial in the long run. Get Your Business’ WordPress Website Up and Running in 30 Minutes with Avada - The essentials in setting up a business website using Avada. Web Aesthetics: The Short and Sweet Guide to Memorable Design - An essential blog article we will cover the significance of an engaging web aesthetic. Making the Most of WooCommerce with Avada - An essential blog article that will show you how to get up and running with WooCommerce and Avada. How to Choose the Best SEO Plugins for WordPress - If you want people to actually find your content, you’ll need to optimise it for search. 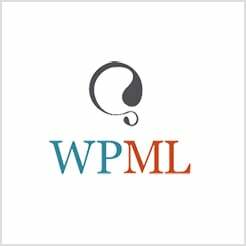 Putting Together a Multilingual Site with Avada and WPML - An essential blog article on why multilingual sites are becoming more and more essential.